On the eve of the First World War, Fleurette, the only daughter of the wealthy Delacroix perfume house, is being forced to marry a man she loathes, Aimery De Lasset, head of the pre-eminent perfume manufacturer in France. It is only the cathedral bells tolling the rally to the frontlines on her wedding night that save her from sharing his bed. When she receives a letter from Aimery’s estranged brother warning against their union, Fleurette is left with the burden of a terrible secret. It is one that has the power to shatter the two families and their perfume empires once and for all. 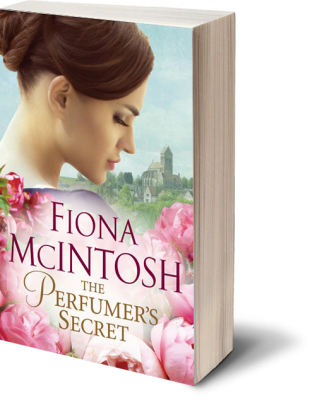 The Perfumer’s Secret has been voted one of the BEST BOOKS OF 2015 by Booktopia. Please note you can now order the perfume, Fleurette, in 100ml bottles. Please register your interest/order with Fiona via email on the Contact page at this website. Thank you.